We offer custom RV conversions to suit your needs. RV Conversions give you the freedom to travel in comfort while on the road. Whether you select a luxury RV motorhome, a camper RV, or a bus RV, choose conversion options that provide the convenience and accessibility of a home away from home. Recreation vehicles (RVs) come in all shapes and sizes giving many personal customization options beyond mobility needs. Recreational vehicles are designed for cargo, comfort and travel time while carrying along any necessary gear for camping, beach trips and enjoying drives from San Diego to Portland on the Pacific Coast Highway. Converting a bus or camper RV starts with having an RV that meets your basic comfort and length standards. The conversion comes after the basics are met. Before you convert an RV, establish a budget and then break that budget down into the cost of the RV itself, all mobility modifications you require and the extra comforts desired. When considering the RV style you want, think about what you plan on doing when travelling on the road. Getting a motorhome that can tow a small utility vehicle to see the town with is a different choice than towing a fifth wheel with your existing mobility vehicle. 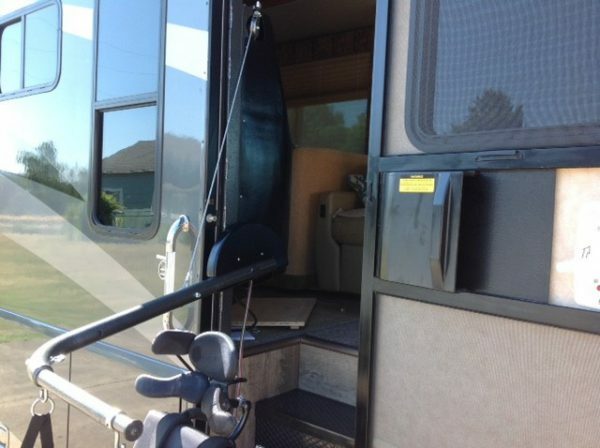 The wheelchair accessibility options vary for different styles of RVs potentially affecting choices or overall budget needs. Choosing a recreational vehicle sets the stage for what you are looking for on the open road. There are four common recreational vehicle styles to consider. Your choice depends on what your RV goals are. A primary mode of transportation plus living quarters while on the road is different than a vehicle that helps you get somewhere to then use other transportation modes while exploring. 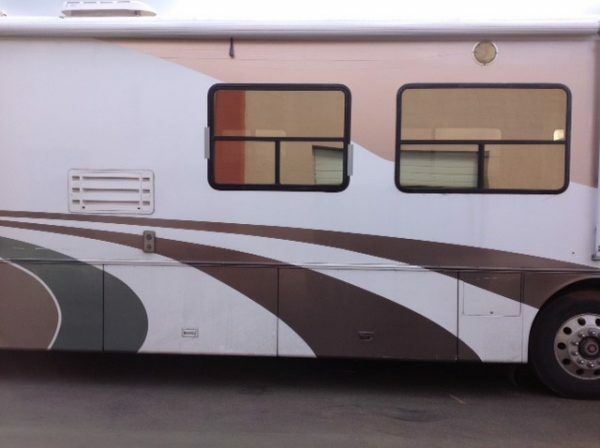 Styles of RVs are defined by classes, with the largest class being the Class A Motorhome. Local DMVs may require a different type of driver’s license class code for larger RVs. Check your state’s licensing requirements. Class A recreational vehicles are often called the bus RV class. These are the largest of the recreational vehicles also called RV motorhomes. Class A category RVs are designed to be spacious and luxurious; these are your home on the road with all possible amenities. Pros: The floor plan options are expansive and often include pop outs for additional space. These RVs are designed for luxury, convenience, and customization. Class A motorhomes often have several hundred feet of well-designed living space. Cons: Luxury and size come at a cost. Class A motorhomes are the most expensive and their size limits them to parking in larger campgrounds. An RV motorhome includes towing capacity so you can conveniently bring an additional vehicle for running local errands or sightseeing. Consider a Class A if you want the comforts of home, want to tow a vehicle, and aren’t set on remote locations. Motorhomes offer the capacity for the more involved modifications dependent on size. This is known as the RV camper van because it is the smallest of the RVs. Its size offers many of the comforts and amenities of larger recreational vehicles in an easy-to-maneuver van. Pros: The RV camper is a modified van and therefore fits in standard parking spaces and can go just about anywhere you want it to. RV campers are an affordable option perfect for short outdoor trips and vacations in campgrounds or slightly more remote sites. Cons: The amenities on the campers are limited. The Class B RV camper provides a basic sink, toilet, and shower with small water tanks. It is not intended to offer the full luxuries that larger RVs do. Consider a Class B if you want to be able to quickly go anywhere and aren’t dependent on space and luxury. The small size of the Class B limits mobility modifications to improving usability conversion options. Class C RVs are known as the chassis RVs because they are built on a truck. The chassis RV provides some of the space of the Class A motorhome in conjunction with the portability of the Class B camper RV. 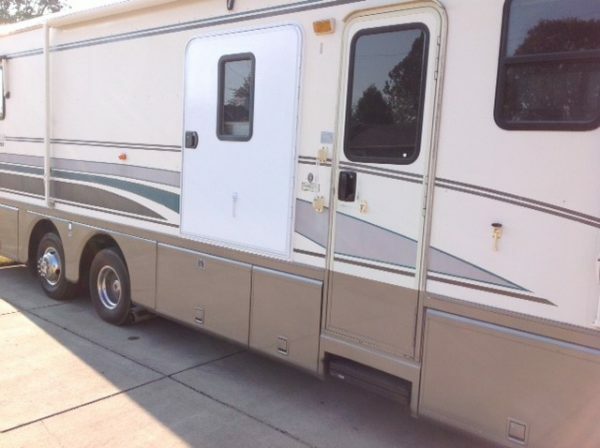 Pros: The chassis RV conversion vehicle has a van or pickup cab for driving and a living space build on the portion behind the cab, the chassis. Bunk beds over the cab usually provide additional sleeping space. Chassis RVs are bigger than many Class B vehicles and are more affordable than the Class A RV motorhome. Cons: Class C chassis vehicles are less sophisticated and, while cheaper than the Class A RV motorhome, are still a significant financial investment. Increased luxury options are available modifications but the space limitations keep the chassis RV from offering Class A luxury. Consider Class C if you want both space and the option to go anywhere. The chassis RV allows for limited wheelchair accessibility options in addition to full usability conversions. Towable options include recreational vehicles such as the travel trailer, 5th Wheel, RV trailer, and tent trailer. These options have largely remained inaccessible to the independent traveler with mobility issues. Pros: The conveniences of a towable trailer include a variety of size options and detachable cars for day trips. 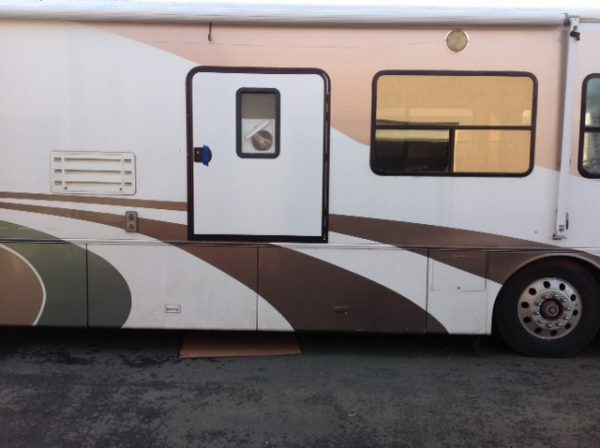 Floor plans on many 5th Wheels are larger than Class A motorhomes. Cons: The detachable vehicle requires a labor-intensive hook up process that is often prohibitive for those with limited physical abilities. Over the years RV companies have been working to change that with new options coming on the market which work to automate some of the hitch process. Consider the towable class if you are capable of the physical requirements to hitch the RV to your truck. Trailer RVs are fully customizable for mobility, dependent on the type of trailer selected. The limitations occur in hitching the trailer and are dependent on assistance. Choosing an RV to convert for wheelchair access or other mobility needs starts with assessing exactly what is desired from the RV use. Working with certified mobility consultants and developing a realistic budget helps keep expectations real and puts money where there is the most value for safety and enjoyment. Accessibility options for entrance start with modifications to the doors where the door handle height is modified. Tethered straps are positioned to aid in closing doors and the access with a wheelchair accessible lift installed. The wide doorways make this modification easier compared to smaller vehicle types of entrance modifications. The main decision when considering a lift is whether to use an internally mounted lift or an under-vehicle lift (UVL). Internally mounted lifts are less expensive but take up space inside recreational vehicles. UVLs are mounted under the vehicle and have higher weight capacities which also mean higher costs and more maintenance requirements. 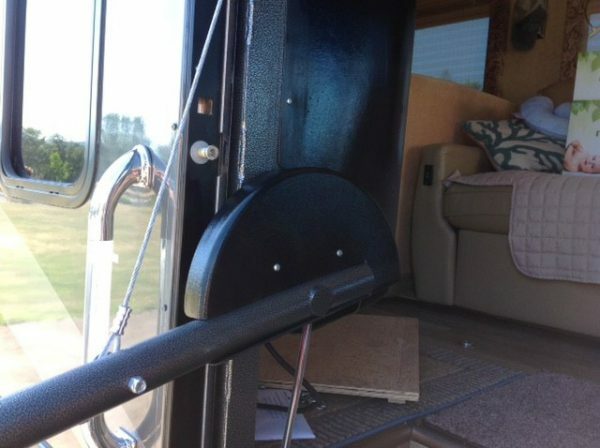 Make sure the RV has the tie downs and seat belt options require to secure a power wheelchair in any potential position it will sit during transit. Restraints can be fitted to the driver’s, front passenger’s or rear passenger positions. Class A vehicles are available with a premade level floor and sufficient space for maneuverability. Vehicles modifications are possible depending on the option package selected. Aisles can be widened with furniture fixture placement adjustments to allow wheelchair space. If height accessibility is an issue, the RV might need modifications to things like microwave placement, sink access and cabinet height. Other modifications might need to be made to bed access, adjusting the height and perhaps adding grab bars to get in and out. All components for lights, power outlets and control panels should be accessible to everyone. Accessibility modifications can reduce storage space. If the RV is shared with able-bodied individuals, higher spaces may facilitate storage of items not used as often. Bathroom modifications are an important consideration when considering mobility needs. Handicap accessible toilets are adjusted so users can stabilize themselves getting up and down, especially in a smaller space. All class vehicles can accommodate modifications changing toilet height, adding grab bars, and replacing glass doors with shower curtains. Class A vehicles allow for expanding doorways, moving walls and adding transfer benches. RVs have hot water heaters to use in kitchen and bathroom areas. Anti-scald devices are available to control water heater temperatures. Sink faucet modifications change out traditional handles to extended length levers so someone who can’t lean over the sink is able to reach it. Bathroom RV conversions protect users from accidental burns while travelling and likely away from quick first aid response. Standard hand cranks are installed for opening vents, raising TV satellites, and opening windows. It is also possible to upgrade hand cranks with automated systems. Discuss the best and most reliable options with a certified mobility specialist. Powering your RV is essential to running electronic conveniences. Campsites with hookups offer power via propane and shore power. There is no standard in power connections at RV campsites which means your shore power cable may not be compatible. Some smaller or remote campgrounds don’t even have power connections. Consider installing a generator or a lithium battery to meet power needs where other power sources are not compatible. A lithium battery is easily rechargeable with the addition of solar panels. Driver aids help get you behind the wheel of any of the recreational vehicles. There are different types of driver aids depending on what your mobility prescription is. These aids can be retrofitted so that a fully able-bodied driver can also drive the RV. 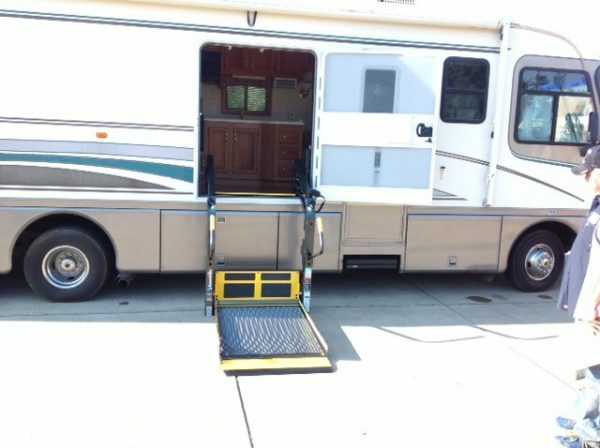 While accessibility options are available to a vehicle after purchase, the vehicle cannot change through an RV conversion. The base vehicle selection will determine the fuel costs, size limitations, and level of luxury. Once you have selected the type of recreational vehicle that is best for your travel needs, assess which base vehicle give you the best experience. A diesel engine can make a significant financial difference over the years by reducing fuel costs. Class A vehicles are extremely big and heavy; their gas mileage reflects this. The upfront cost for a diesel engine may seem prohibitive, but this is one option that can’t be converted at a later date. The diesel engine is a good option for accessibility because the cost savings will accumulate over the life of the vehicle. For mobility purposes the bus RV gives exceptional space to customize any and all mobility options desired. The base vehicle selected for a Class B RV camper cannot be upgraded or changed. The camper built on your vehicle is modifiable for accessibility, but the selected vehicle will remain the same. The most popular RV camper option is a van conversion. The Promaster and the Mercedes Sprinter are two vehicles that offer various custom conversion options. Standard interior and exterior features are available on all lines, including a shore power line, water heater, Satellite TV and Sirius XM radio, make for an enjoyable vacation. Campers are great options for conversions because of wide entry access points in spite of their smaller size. Vans and trucks in the chassis RV class are portable making them camping favorites for smaller campgrounds while the larger Class C freightliner requires bigger parking accommodations. Either option offers more combined space and portability at a smaller cost than a motorhome. The Class C option makes a great vehicle for an RV conversion when a custom blend of spacious accommodations and freedom to travel are needed. Popular base vehicle options for the camper include Ford and Chevy trucks. These truck manufacturers provide reliable truck drive trains making this a portable option for campers. Chassis RV conversions are perfect for adding accessibility while still being able to visit the more remote campgrounds. Bridgeview Manufacturing offers the Harbor View Mobility Trailer that focuses on trailer hitch automation for easy use for those otherwise unable to physically work the hitch. Set up includes button operated front and rear stabilizer jacks. Selecting a trailer with these options can make the towable class a convenient base option on which to add additional accessibility options. A trailer built with accessibility focused hitching gives RV enthusiasts the ability to set home base at camp and then use their accessible vehicle to explore town. Many old school buses are being repurposed as campers and RVs. The Bus Life Adventure is a blog which details their school bus conversion by removing the bench seats. With no seats, the school bus RV conversion floor plan is wide open with plenty of space for customized amenities to meet a variety of wheelchair accessible and mobility needs. Selecting a unique vehicle for conversion is a good option for accessibility because it caters to a unique style while offering a floor plan suitable for accommodations. Jumping into an RV conversion is a lifestyle decision and one that doesn’t come without proper financial planning. Costs for the RV itself plus all conversion options add up quickly. There are ways to get more bang for your buck with an RV conversion that consider looking at used RVs for conversion or even pre-converted RVs being sold. Regardless of whether you are buying a new or pre-owned RV, consult with a mobility specialist for all conversion components. Confirm that everything works properly and meets your prescription needs for accessibility and mobility. Several companies, including Winnebago, custom build RVs meeting many accessibility specifications. They offer numerous model and floor plan combinations including some pre-designed for wheelchair access and ready-to-convert access points. Even with the pre-designed models, custom modifications and additions are available by completing a Winnebago questionnaire in the purchase process. Choosing to convert a standard RV allows you to modify everything to your unique needs and wants. An RV conversion enables you to be selective with modifications, thus keeping costs to a minimum. Select individual options based on your most important requirements. Once all options are selected, the RV is kept at the mobility and accessibility dealer where certified installation technicians do the work. Using certified technicians through authorized dealers provides warranties on the work. Determine if your RV will be your primary residence or if it will be used solely for travel excursions. If you are looking to make the open road your permanent home, splurging on a fully modified vehicle with all the comforts of home is the option for you. For those venturing out on shorter vacations, consider prioritizing modifications best suited to your independence or family enjoyment. This can save money on the RV that can be otherwise spent of fun activities on the road. As with any accessibility modification, safety is a top priority. Contact R&J Mobility to get put in touch with a Certified Driver Rehabilitation Specialist (CDRS) who will assess your specific accessibility needs and develop a modification plan. CDRSs work with you and your medical providers to make the proper modifications for independence while keeping everyone safe. The CDRS coordinates getting the proper documentation required to modify a vehicle with adaptive driver equipment, walking you through the process between doctors, motor vehicle departments and insurance carriers. Documentation demonstrates proof of need which is shown through the assessment report to get the properly restrictions and class allowances on driver’s licenses. R&J Mobility gives you all the benefits of a dealer with over 40 years of experience. They meet accessibility needs for customers throughout the West Coast while offering exceptional customer service. As members of the National Mobility Equipment Dealers Association (NMEDA) R&J Mobility is a recommended dealer for all of your mobility needs. The Quality Assurance Program (QAP) details requirements met by R&J Mobility to gain accreditation. R&J Mobility is a certified business dedicated to quality, safety, and reliability. You can rest assured their staff is up to date on training for the modifications they install. People all over the nation are hitting the open road unrestricted by wheelchair accessibility or mobility issues. 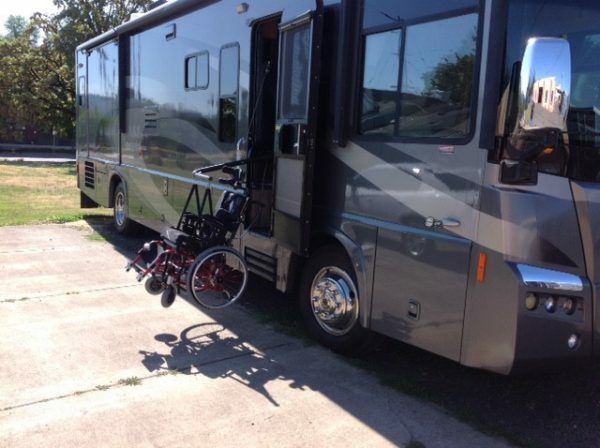 The Handicapped Travel Club (HTC) provides opportunities for RV conversion travelers to connect with fellow travelers enjoying their RV conversion. R&J Mobility can get you out on the open road with like-minded individuals excited about the next adventure alongside your new RV conversion.